What if we told you choosing the best bowfishing bow didn’t need to be intimidating or difficult? It sounds too good to be true, right? Bowfishing presents new challenges, even for the seasoned outdoorsman, so how does one even begin to go about choosing a bow? In this article you’re going to learn all about choosing the perfect bowfishing bow, so you can be confident in your equipment and your abilities. Bowfishing is a fast growing sport among outdoor enthusiasts which entails firing special arrows to pierce fish from above the water to reel them in. Fishing with a bow requires special equipment, and it’s common for newcomers to want to find the best fishing bow, reel, and arrows before heading into the wild. What is the perfect bowfishing bow? 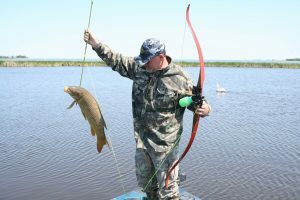 The best bow for bowfishing beginners may not be the best for pros, and there are many factors (weight, archery experience, desired prey) you need to consider before choosing your bow. 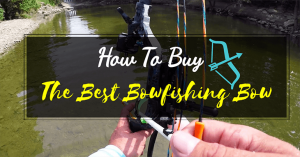 We understand that entering a new sport can be challenging and potentially expensive, so we’ve compiled a special buyers guide to help you find the best bowfishing bow. Want the inside scoop on bows? We’ve put in hours of research – both in the shop and on the water to create THE definitive guide to bowfishing gear. We’ll tell you exactly what to look for in a high-quality bowfishing bow, as well as help you learn about reels, line, and arrows, so you’ll be ready to take aim in no time! What is the Best Bowfishing Bow? 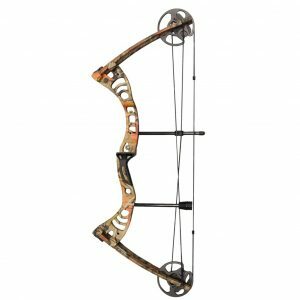 Choosing bows for fishing is not unlike choosing bows for other archery activities. Consider your body type, whether you’re left or right handed, as well as your upper body and arm strength. Usually, men and women will have different needs and each should spend time trying out the equipment before buying. One of the most important things to consider is the bow draw weight. Keep in mind that while you might only launch one or two arrows when hunting on land, in bowfishing you’ll draw and release dozens of times. You want power, but you want your arm to be useful at the end of the day as well! Fast Fact: 35 lbs is considered a good draw weight to start with! Others prefer a recurve bow for bowfishing, they are affordable and easy to use. The large curved apparatus stores more energy than a straight bow, which makes them good for quick releases. Tip: Look for a recurve with a stabilizer hole The addition of a stabilizing weight can help keep your shots under control. What is the Best Bowfishing Reel? For many archers, choosing the best bow for fishing is 50% about the reel. Each reel dramatically changes the bowfishing experience, almost turning it into a different sport. This often makes the reel the hardest for newcomers to choose. Luckily, there are only three main types to consider. 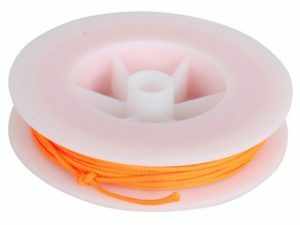 The simplest and most inexpensive option – this reel requires manually wrapping the line around a drum. While some fishermen criticize this method for being too slow and limiting the number of potential catches, beginners love the low start-up investment. The retriever involves attaching a small bottle to the bow, which stores a line that is automatically released with each shot. A hand crank allows the user to quickly reel in fish and prepare the next shot. While on the pricier side, this is a great option for beginners and pros alike. Fisherman will feel quite comfortable with the spin cast reel, which functions similar to those on most fishing poles. 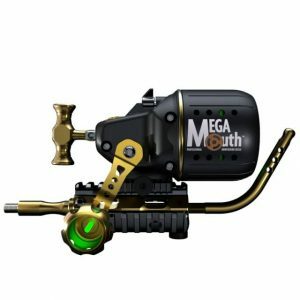 Favored by pros for their ultra-fast retrieval speed, these reels must be properly released when firing, or the user risks snapping the line and losing the arrow. What is the Best Bowfishing Line? What holds the sport of bowfishing together? You could have the best bow for fishing in the world and still lose every catch if you don’t have the right line. While the line depends on the prey, there are a few essential factors to keep in mind. Weight: Usually between 80 and 600 lbs. For fish, 400 lbs should be the max. Material: Usually Spectra, Dacron, or Nylon which are tough materials that can handle the speed that comes with being attached to an arrow instead of a lure. Color: Even the best line can break or snag, and when that happens, you’ll probably still want your fish! Some line comes in bright colors, which can make seeing the line easy in many conditions. What is the Best Bowfishing Arrow? There’s a big difference between fishing with a bow and arrow compared to bow hunting on land. 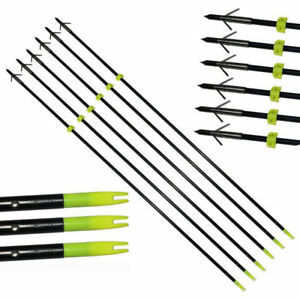 Arrows constructed for use with top rated bowfishing bows and beginner bows alike are specifically constructed to penetrate through water, which is much denser than air. This means they have more weight and strength and are absent of fletching or feathers, which could slow the arrow or miss the target. Material, rather than design, is the principal point of contention among bowfishing enthusiasts, with each having its pros and cons concerning strength, price, and versatility. Fiberglass: Inexpensive and effective, fiberglass is the go-to material for many bowfisherman. However, some feel fiberglass is too inconsistent, and can affect your aim if not uniformly straight. Aluminum / Fiber: Fisherman hunting larger prey often prefer fiberglass arrows with an aluminum jacket. These give an added kick to speed and help keep the shaft from breaking under contact with thick hides or scales. Carbon: More expensive but generally thought to be more suited to water travel, carbon arrows recover quickly after launch, making them better at penetrating the water. While extremely durable, they can crack or split if they impact on the side. Hybrid: These arrows combine the stiffness and straightness of carbon with the durability of fiberglass. This price, like the other specs, is also somewhere between the two. As enjoyable and rewarding as bowfishing can be, getting the most out of it requires having the proper equipment – especially the best bowfishing bow you can get your hands on. To guide you in your quest to pick out the absolute best, we’ve compiled a list of the ten best bowfishing bows of 2019. Along the way, we’ll pay special attention to the type, reel, and line of each bow. 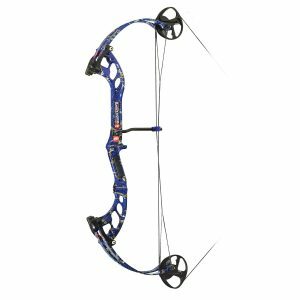 We’ve assembled these reviews to offer you a starting point to explore all the many bowfishing bows on the market. Find one that best suits you and become the best you can be at targeting, shooting, and reeling in fish. There’s no denying the RPM Nitro Bow will set you back a pretty penny, but it’s extraordinary quality makes it clear where the money went as RPM’s products have consistently been among the top rated bowfishing bows. Type: This is ultimately a compound bow, as seen by the cams near the limbs. This gives the bow additional power. The curved limbs do give it the look of a recurve bow, though. Reel: The bow does not include a reel, but is compatible with a wide range of reels. Line: Since the bow does not come with a reel, there is no line to speak of. 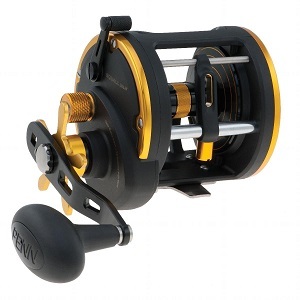 The line and its quality depends on the reel that you choose to purchase with this bow. Verdict: If you can accept the steep price of this bow and that you’ll have to purchase your own reel and other accessories, you’ll find that RPM’s Nitro is perhaps the best product in the lineup offering everything a bowfisherman could desire. For those willing to pay, we recommend it. Type: This is a powerful compound bow while its bent limbs make it look like a recurve bow. Reel: No reel included. Compatible with many reels. Verdict: Like the RMP Nitro, the XL is expensive. However, we highly recommend it for those who want an excellent all-round bow, with extra power, and for whom money is no object. Type: This is a recurve bow. Reel: This bow does not come with a reel, but is compatible with a wide range of reels. Verdict: Among recurve bows, this may be the best bow for fishing you’ll find in 2019. 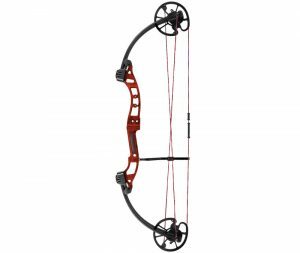 Extremely lightweight, powerful (at least for a recurve bow), and relatively inexpensive – this bow can be a great choice. Let-handed users, however, should not buy it. Verdict: For the price, this is an excellent bowfishing kit that includes a reel, line, 31” arrow, and a snapshot rest along with the bow. It’s combination of lightness, durability, and power lead us to recommend it. Reel: The bow comes with a drum reel. Line: The set of accessories also includes line. Verdict: This is a fine bow. However, left-handers will have no use for it and the lack of assembly instructions present inconvenience. Buy this bow if you can overcome these obstacles. Reel: This kit includes includes a special mounting reel which offers effective performance in reeling in your targets after a strike. 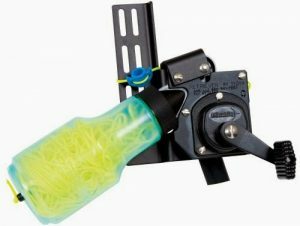 Line: The kit includes a reliable line along with a reel and other accessories. Verdict: If sturdiness is important, this unit certainly belongs on the short list of bows you need to check out. It’s relative inexpensiveness which makes this kit all the more worthy of consideration as the bow is among the top rated bowfishing bows for the price. Reel: Includes a reel included. Line: The line included in the kit is sturdy and reliable. 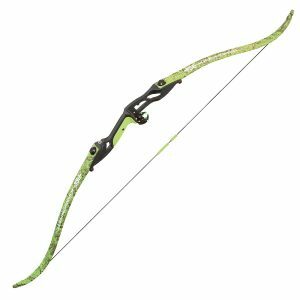 Verdict: This bow certainly brings power to the table and offers many features other bows on the market do not include. We would recommend this bow for the occasional bowfisher who wants many features in one package and the durability issues won’t pose an issue. Reel: Includes a drum reel. Line: Comes with 35 yards of Spectra Line. 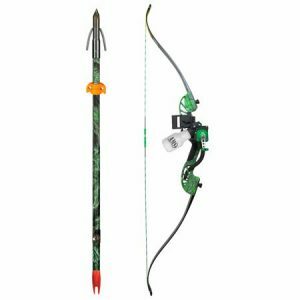 Verdict: This is a powerful versatile compound bow that includes many features and accessories, if you’re looking for an all inclusive kit for gentle use, we recommend this unit. Reel: Includes one Muzzy spin reel. Line: Includes 150 ft. of bowfishing line. Verdict: This is a powerful and durable bow, so it provides value for the money you have to pony up to get it. 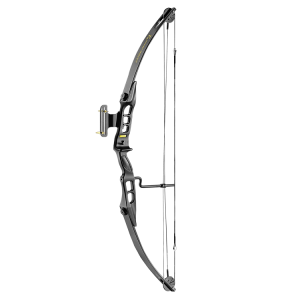 If power and durability is essential and you don’t mind paying for it, this is the bow for you. Reel: Comes with a drum reel. Line: Comes with a line so you can get out there and fish. Verdict: You simply can’t go wrong with this bow. Though it is expensive, it is well worth the money, boasting great power, ease of use, and an attractive and eye-catching design. Put simply: If you want a high-quality bow for bowfishing, look no further. What is There to Know About Bowfishing Bows? To assist you in your search to find the bowfishing bow that will deliver the highest performance and is best suited, we have decided to answer a number of the most frequently asked questions about bowfishing bows and about bowfishing in general. 1. 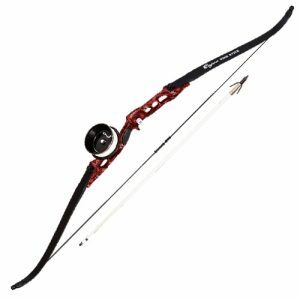 How do I turn a compound bow into a fishing bow? An ordinary compound bow can be repurposed for bowfishing easily. All you’ll need is a reel, a rest, and perhaps some finger tabs. 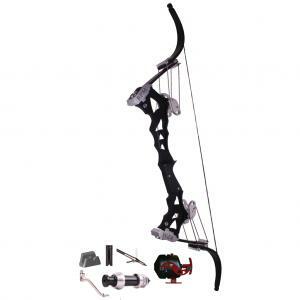 You can find detailed information on how to prepare an ordinary compound bow for bowfishing here, but essentially all that is necessary is to hook your reel up to the bow, tie the line up to your arrow, and add some finger tabs onto the bowstring. 2. 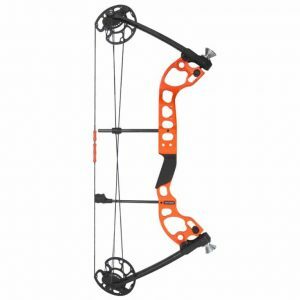 How do I set up a bow for bowfishing? Setting up a bowfishing bow is a simple process that involves setting up finger tabs, mounting your rest, squaring your arrow with the bowstring, and mounting your reel onto your bow with a wrist sling. This helpful video found here walks you through the entire process from beginning to end. 3. 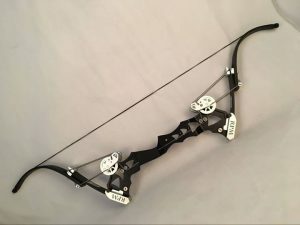 How do I make a bowfishing bow? If you insist on doing things on the cheap and assembling everything from scratch, it’s possible to build a reasonably functional bowfishing bow all on your own. If you can run a string through both ends of a flexible but strong piece of wood to make a basic bow and then drill holes into the ends of a Gatorade bottle and place fishing line into it to make a reel, then you have the basic components of a bowfishing bow. This video presents and easy-to-follow example of how to build essentially everything yourself. 4. What pound bow weight is best for bowfishing? When it comes to the weight of a bowfishing bow, there’s a simple trade-off involved: heavier bows are generally more durable and pack more power, while lighter bows are easier to maneuver and present less resistance when you want to make quick shots. There’s no one-size-fits-all answer to this question. If you are a casual bowfisherman, a bow weighing less than 3 lbs. might be best for you. If you are more serious, consider a heavier bow. 5. What is the best bowfishing arrow? The answer to this question, again, depends on your needs. Bowfishing can be broken down to two broad categories: fiberglass arrows and carbon fiber arrows. 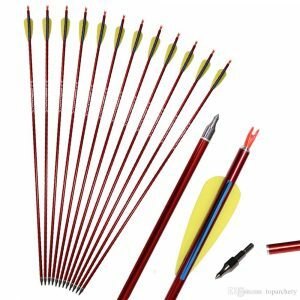 Fiberglass arrows are cheaper, but also less sturdy and communicate less impact than carbon fiber arrows. 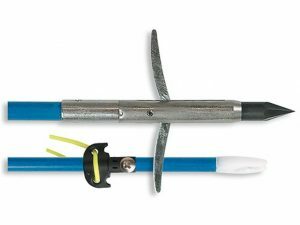 If you only intend to hunt small fish, fiberglass arrows are sufficient. 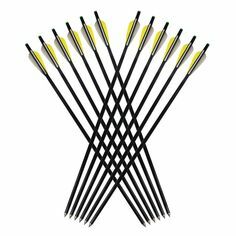 On the other hand, if you have ambitions to go after larger game and consider high accuracy to be indispensable, carbon fiber arrows will be well worth the added investment. 6. What is the best bowfishing reel? There are three basic bowfishing reels: drum reels, spincast reels, and retriever reels. Drum reels need to be hand wrapped and manually attached to the bow. Spincast reels come attached to the bow and make shooting and reeling in much easier. Retriever reels offer the advantages in the ease of use of spincast reels but also feature thicker line, making them an excellent choice if you plan to go for larger fish. Retriever reels have an excellent combination of features. 7. Do you need a bowfishing license? You will need to have a fishing license before bowfishing. The specifics depends on the state and locality which you plan to go bowfishing. 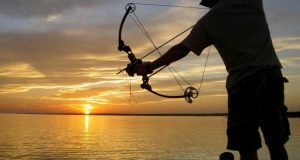 There are some areas that do not allow you to use bow fishing equipment at all, because they consider it to be a “deadly weapon.” Be sure to check the laws pertaining to bowfishing in your state or locality to be sure of what is and is not allowed. 8. Which fish can you catch with a bow? Depending on the state you bowfish“rough” fish tend to be the center focus. These include carp, eels, suckers, perch, catfish, gars, dogfish, sharks and even stingrays. Some states even allow you to hunt alligators with a bow. You should always take care to check the laws in the state you intend to go bowfishing. There is no universal answer to this question. Whether bowfishing is legal in some areas, and which fish is legal to catch there, depends on specific laws. Before going bowfishing, always check the local and state laws in the area. 10. Is it lawful to use archery equipment for fishing? The laws on this subject vary from state to state and you should always consult the laws in your state before going bowfishing. 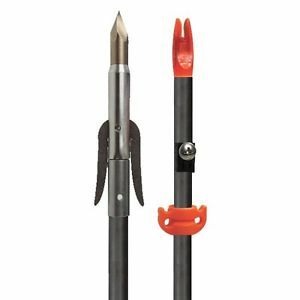 Most archery equipment is permissible for bow fishing, provided the equipment is used to take non-game fish only. Be aware this rule of thumb does not hold for every state. All possess exquisite qualities and a host of virtues in their own right, from power, affordability, to durability. Be sure to give all your attention.